But among the days’ worth of Nagra reels covering the Get Back sessions on Jan. 7, 1969, as the band lurched toward what became at least a temporary split later that week — this is Tuesday, and George walks out on Friday — we do get to hear play out in real time the origin story of unique and memorable instrumentation to appear later on Abbey Road. Like, on steel. You know, a [bang, bang]. So it sounds silver, steel. Sprouting from a short rehearsal of “I’ve Got a Feeling” with a quick touch of “Oh! Darling,” the “Maxwell” session on Jan. 7 runs for more than an hour on the tapes, straddling both ends of a lunch break. It’s far and away the longest time spent on any single song this day. The key to appreciating the “Maxwell’s Silver Hammer” rehearsals is to view them completely in a vacuum. In a sense, it’s incredibly frustrating to think of the time spent on this when George has “All Things Must Pass,” for instance, withering to group disinterest. Or that John has a skeleton of what would become “Gimme Some Truth” two years later, unfinished — a song tinkered with briefly this very day. Paul himself could have spent the extra time on “Oh! Darling,” which purportedly had interest from other bandmates at this very specific moment in time. So on its face, just listening to this portion of the tapes is infuriating, because WHY IS PAUL MAKING US LISTEN TO “MAXWELL’S SILVER HAMMER” FOR HOURS??? STOP KILLING JOAN!!! But in a vacuum — and with the understanding that all of The Beatles’ musical children are beautiful and deserving of love — this is a very instructive and iconic moment in the history of the song, and we see significant progress in the song’s overall development. This, even though Paul himself admits he hasn’t finished writing it. The band hit the ground running with the song, having already spent time on it Jan. 3 (when Paul also made reference to getting a hammer for the song, but didn’t follow through as he would today), but it’s a bit of a bumpy start as Paul is still reminding the rest of the group of the chords — the alignment is Paul on piano, George on bass and John on a jaunty guitar. 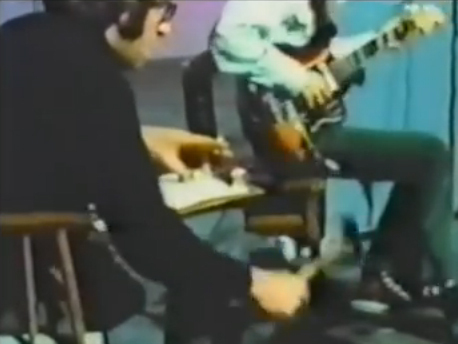 When Paul remarks he “doesn’t like the waltz” drum pattern that coming out of the chorus into the verse, Ringo laughingly bemoaned, “it’s the only bit I remembered in the whole piece!” It’s just an early reminder and reflection that the song was Paul’s priority and his alone, something that would continue into the song’s recording for Abbey Road six months later. Paul doesn’t always play it straight, hamming it up lounge-singer style, delivering cringe-worthy tongue clicks and scats along where he still needs to write lyrics. Sure, he’s completely contradicting his own instructions moments earlier as they worked on “I’ve Got a Feeling” — “We should start off by doing everything we’re going to do on the thing. Like if you’re going to do the ‘oh yeahs’ innit, you’ve got to do ‘em how you’re going to do it.” It wasn’t the first (or last) time he wouldn’t take his own advice, either. But here it probably shows the more advanced, but unpolished state “I’ve Got a Feeling” was in, the song in true rehearsal stage, while “Maxwell’s” was clearly an unfinished product. Like on so many of these tapes, and especially on Paul’s songs — which more often seem to be delivered to the band incomplete — we get an incredible windows into Paul’ s songwriting technique. As he plays along on piano, he’ll hum a suggested bassline. Without notice, he’ll change it. Once he gets a certain part down — whether it’s a drum pattern or a whistle — he’ll interrupt and make clear it’s what he’s looking for. Until he decides to change it again. That’s in contrast to George’s songs, which more often are closer to complete and accompanying parts are set in George’s mind. While John wasn’t nearly as productive as Paul or George during the sessions, we’ve seen how he’s more willing to get open input from the rest of the band. Then there’s the whistling. There was plenty of whistling in these early takes of “Maxwell’s.” But lapsing into caricature, Paul — interrupting an unrelated question from George — explains just what he’s looking for from his band. If we do a solo, whistling, we should try and do like a real whistling solo, ’cause it is a bit much if it’s those joke whistlings. The man was nothing if not a perfectionist. Of all the things that would put the song over the top, Paul was sure here it would be insincere whistling. Just to make sure everyone knew he was serious, during a subsequent stab at a part whistled in unison between verses, Paul barks out “straight” just to make sure any joke whistlings didn’t sneak its way in. In all, the song was definitely coming together nicely. Incomplete, it still had shape and vibrancy, and the rest of the group beyond Paul gave every indication they were enjoying performing it, despite continued confusion at times over cues. It was in this context Paul suggested a figurative bell to add to his literal whistles. We should have a hammer. … Mal, on an anvil. Like, on steel. You know, a [bang, bang]. So it sounds silver, steel. Wearing bow ties for this one. Paul doesn’t just see the anvil as part of the instrumentation. It gives Paul the excuse to think more broadly about the song in the context of the live show. 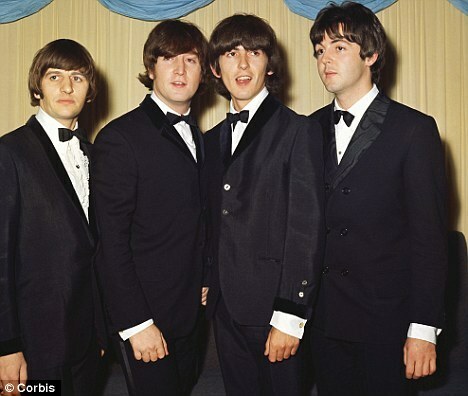 “We’ll all be wearing bow ties for this one, blazers.” The Beatles were on the verge of breaking up earlier this day, and now Paul’s suggesting costume changes during a performance of “Maxwell’s Silver Hammer.” Moods swing rapidly at Twickenham. The group is in a jocular mood — probably as much as we’ve heard to this point on the tapes — as the band laughs, whoops and hams it up during the final takes of this portion of the “Maxwell’s” rehearsals and as they head out for lunch. They’d return with full stomachs and pieces of steel.